Every year around the world, millions die on road generally from preventable causes and are major public health threat in current times with soaring figures of unnecessary and unacceptable burden of morbidity and disability. We attempted an extensive collection of published literature with specific inclusion criteria in PubMed, Cochrane, Web of Science, and WHO Global Health Library including additional search in indexed literature and website-based population survey reports. Ten percent of road accident fatalities worldwide occur in India, and in addition, more than a million are grievously injured every year. Moreover, victims with nonfatal injuries are forced to live with a range of physical and emotional disabilities with a colossal social and economic impact. In addition, the health-care costs allied with these injuries also create an immense threat to the already stretched out curative health-care load particularly in resource-poor settings of the developing third world countries. Notwithstanding such sobering data, road traffic injuries received less than optimal interest from national health planners to provide comprehensive care from primary health-care levels where maximum injuries come as first contact intervention. Injuries are not accidents and they do not occur by chance alone; like morbidity, they follow a classical model of epidemiological triad of agent-host-environment. Hence, by classifying the risk factors for injury as modifiable and nonmodifiable, it is most likely to forecast and prevent by models. There is a great need to validate brain injury biofluid biomarkers in the acute care setting such as in the emergency departments. 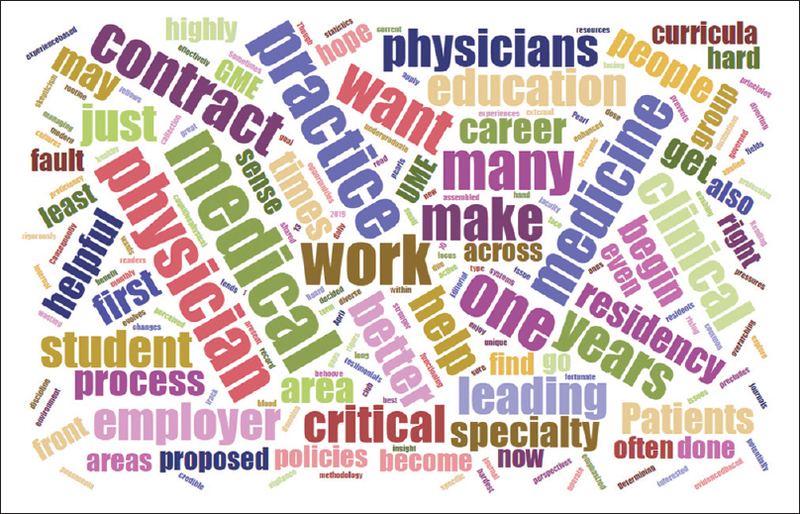 The following core competencies are addressed in this article: Medical knowledge, Patient care and procedural skills, and Systems-based practice. As tattoos become more common, it is likely that practitioners will encounter adverse tattoo reactions with increasing frequency. 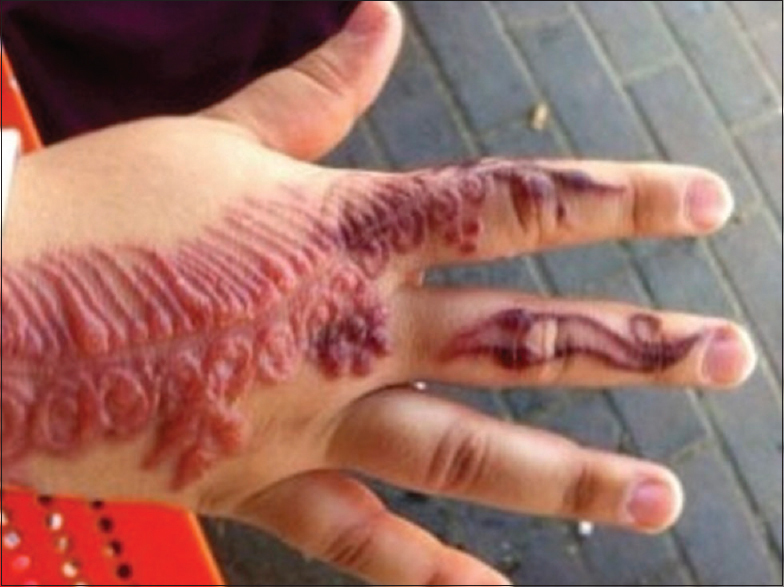 While some tattoo-related complications (TRCs) may be nonspecific and challenging to diagnose, others present overtly and can be identified quickly by a well-informed practitioner. 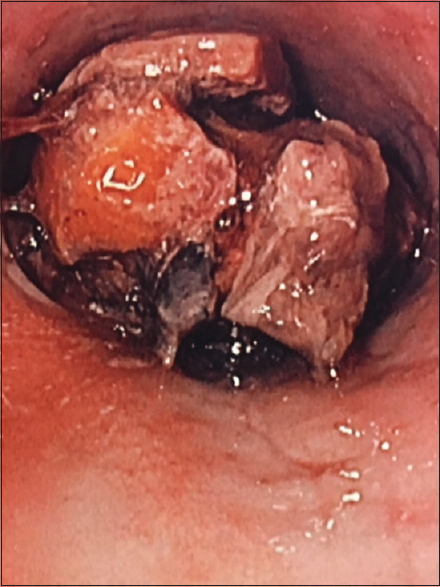 TRCs occur at both of these extremes, highlighting the need for better awareness and knowledge sharing regarding this heterogeneous group of morbidities. This review is a result of a compilation of the best available clinical evidence across various groupings of TRCs. The authors' intent was to provide the reader with a comprehensive overview of the topic while creating a rich repository of referenced knowledge for future investigations. From the standpoint of frontline health-care providers, effective recognition and management of TRCs require an open-mind, high degree of clinical suspicion, and nonjudgmental approach to a mainstream phenomenon that is still considered by many to be a taboo. The following core competencies are addressed in this article: Medical knowledge, Patient care, and Systems-based practice. Introduction: Predicting early need for trauma resuscitation is an important goal of trauma systems. Aim/Hypothesis: We sought to compare the predictive value of end-tidal carbon dioxide (EtCO2) compared to hemoglobin, shock index, systolic blood pressure, heart rate, and respiratory rate in determining transfusion requirement, need for operative hemorrhage control, or pressor use in the first 24 h after trauma alert activation. Materials and Methods: A convenience sample of trauma patients at a Level 1 community trauma center were enrolled. EtCO2 was measured via nasal cannula upon arrival, in addition to initial hemoglobin levels and vital signs. Once stable and competent, patients or families were consented. EtCO2 average over three measurements 3 min apart was used as the EtCO2 value. The electronic medical record was reviewed by a trained research associate who was not involved in the care of the patient to determine the need for transfusion, pressor use, or operative hemorrhage control within the first 24 h of hospitalization. Results: Fifty patients were enrolled, with a median age of 52 years. Seven patients required transfusion, pressor use, and/or surgical hemorrhage control. Vital signs between groups were statistically no different. The mean EtCO2 in patients requiring transfusion was 26.8 (19.5–34.1) versus 34.1 (31.8–36.3) in those who did not (P = 0.027). 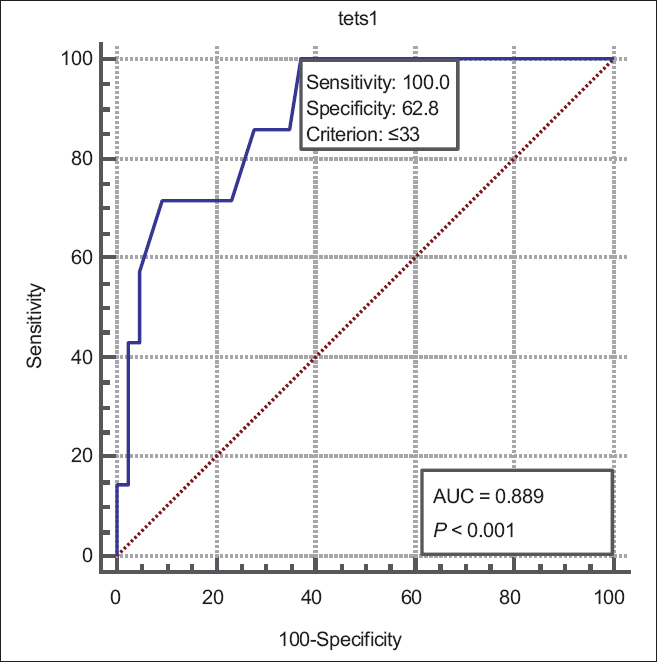 A cutoff value of EtCO2 ≤33 mmHg was 100% sensitive and 62.8% specific, with an area under the curve of 0.889. Conclusion: EtCO2 has a high sensitivity in predicting the need for intervention in trauma patients. Additional research is needed to determine further utility of this value in the triage and treatment of trauma patients. The following core competency statement: Patient care and Systems-based practice. Objective: This study evaluates the effectiveness of a novel modality created by our team to teach disaster preparedness consisting of tabletop drills and disaster simulation. Based on the Incident Command System (ICS) framework, our system prepares medical providers to respond independently to country-level disasters. Background: Disaster response remains an important component of emergency preparedness internationally. To this end, the ICS provides a standardized approach to the command, control, and coordination of emergency response. Methods: A 2-day workshop was conducted with medical providers in Bangalore, India, that used serial disaster simulations to improve disaster response using the ICS. Through increasing responsibility and self-directed tabletops, the participants (doctors, medical students, nurses, and police) gained the skills to respond independently to a simulated countrywide disaster. After the exercise, they were asked to grade the usefulness of simulation and lectures. Results: Forty-four providers responded to the questionnaire, all of which (n = 44, 100%) recommended the course. They graded the final disaster drill as most useful (n = 36, 82%) and also graded lectures from topic experts as useful (n = 36, 83%). Based on qualitative written feedback, participants felt drills helped them in communication and leadership. Conclusion: This novel teaching modality, using simulation and tabletop drills, is an effective tool to teach the ICS to medical providers. Participants felt that they benefitted from training and would respond better to future disasters. The following core competencies are addressed in this article: Systems-based practice, Patient care, Interpersonal and communication skills. Background: Similar to previous models for recovery and donation of clean and unused operating room (OR) supplies, that would otherwise be discarded, a new program was started at our institution in 2016. Subsequently, the initiative was expanded to units outside the OR. This study aims to explore the output of these other units on top of our current program. We hypothesize that expansion is feasible and productive, with minimal added effort. Materials and Methods: Clean and unused supplies, in original packaging or open box, which would otherwise be discarded were collected in marked bins from the OR, Surgical Intensive Care Unit (SICU), and the trauma bay (TB) of our urban, academic center. Supplies were sorted, weighed, and inventoried weekly by qualified volunteers. Totals were calculated through proprietary inventory software. Results: The program salvaged 9024 individual items of 129 unique types grouped into 7 categories. In total, 1065 kg of supplies worth an estimated $20,550 USD were collected from the three patient care areas over 7 months. Adding the SICU and TB resulted in a 33% increase in recovered weight and 13% increase in value. Twenty-nine new items were added to our inventory. If this program was expanded to recover supplies from the other ICUs in our hospital, we estimate an additional 951 kg worth $9443 USD could be collected. Conclusions: Thousands of clean, unused supplies, weighing over a metric ton, are discarded in our hospital annually. The OR is the largest source of such material; however, expanding beyond the OR generates significant additional yield. Expansion is feasible with minimally added volunteer hours. Supply recovery initiatives undertaken nationwide and may help mitigate the economic and environmental costs associated with excess medical waste generation and produce staggering quantities of supplies for donation. The following core competencies are addressed in this article: Systems-based practice. The use of extracorporeal membrane oxygenation (ECMO) was initially used to support patients in acute cardiopulmonary failure, but its utility has expanded to include a broadspectrum of patients with complex medical conditions. As a growing number of cases continue to mount to prove its successes, ECMO has emerged as a versatile treatment modality in a wide range of clinical scenarios. While the literature documents many successes regarding short-term outcomes, long-term data are lacking. We previously reported two separate cases of profound septic shock where ECMO was implemented as rescue therapy and both patients were able to be successfully discharged. We now provide an update to one of those cases to demonstrate long-term meaningful outcomes in a case where ECMO was utilized successfully. The following core competencies are addressed in this article: Medical knowledge, Patient care and procedural skills, and Systems-based practice. 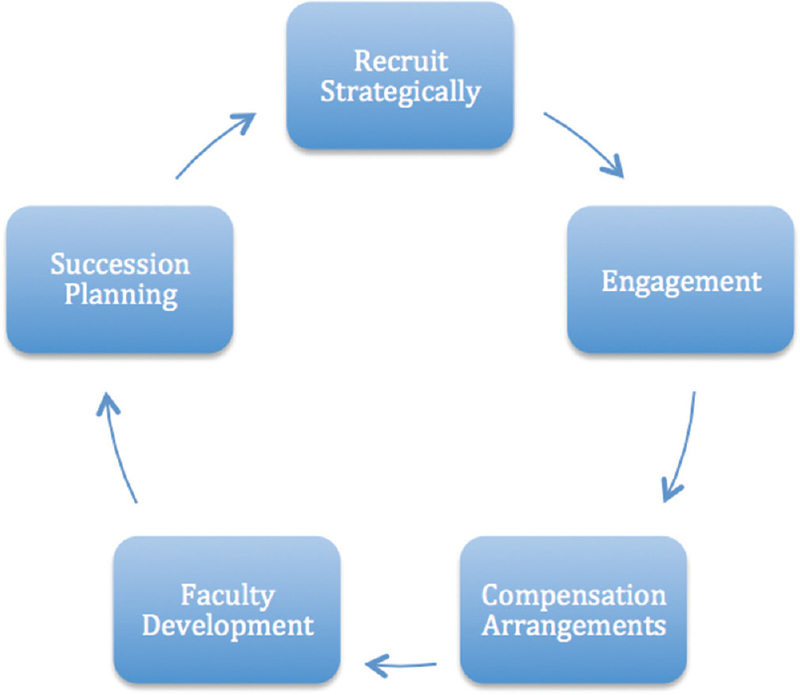 Succession planning for the replacement of vacant academic leadership positions is of paramount importance. It permits organized and minimally disruptive changes during times of transition. Interim chairs have become more common because of increasingly high chair turnover rates and the declining tenure of sitting chairs. In the U.S. nearly 66% of new chairs come from the department of the home institution. Therefore, training faculty members within the department who have the desirable attributes required to be strong leaders will be of assistance to an institution during the turbulent times created by transitions. An emphasis should be placed on the importance of the development of interim chairs as leaders. The following core competencies are addressed in this article: Systems-based practice, Interpersonal and communication skills, and Professionalism. Learning is a process of changing behavior of learner. Teaching–learning process lasts the entire life span of each individual. Adult education is the intentional systematic process of teaching and learning by which person who occupies adult role acquires new value, attitude, knowledge, skill, and discipline. Art and science of helping adults in learning is called andragogy. Adult learners are autonomous, self-directed, reluctant to learn new things, and they focus mainly on immediate implementation of knowledge. The theories to explain adult learning are conditioning theory, theory of connectionism, and cognitive theory. Adult learning knowledge in medical education helps to keep update for recent advances in different fields. To improve teaching–learning, the principles of adult learning should be applied like active involvement of learner by allowing debate and challenge of ideas using audience response system technique. The adult learner should always be motivated and reinforced by positive feedback. Adults are usually goal oriented; so, we should always relate learning to participant's goal. 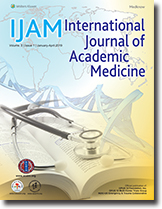 The following core competencies are addressed in this article: Medical knowledge, Practice-based learning and improvement, Professionalism, Systems-based practice.